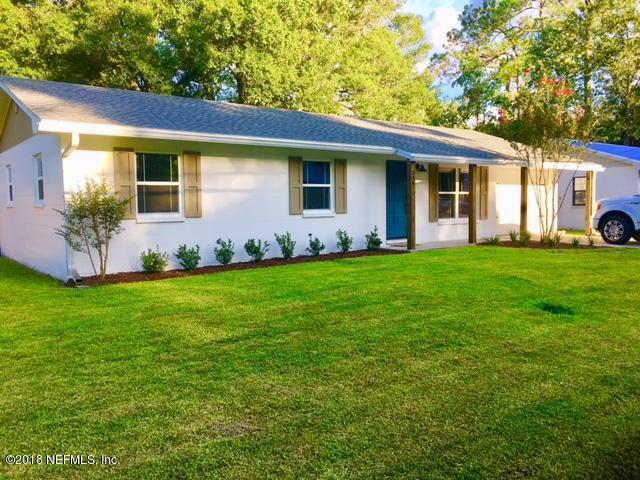 This charming 3/2 1148 sqft home is basically brand new from the outside in. This home features a brand new roof, brand new AC, Brand new energy efficient windows, all new stainless appliances, brand new White shaker cabinets in the kitchen with Quartz Carrara countertops. The bathrooms have Grey shaker cabinets, quartz counter tops and subway tiled walls, with marble touches! The huge Master shower is a must see! All doors in the house are brand new and updated and there are gorgeous laminate wood floors going in throughout.The backyard is very spacious and has a brand new wood fence with a fire pit for entertaining. Home also has large indoor laundry and pantry space, as well as a 1 car garage. The location is amazing! Walk to all the downtown amenities! More pictures coming soon!